Showing results for tags 'bronchus'. Mixoma01 - stl file processed 3dmodel, stl, bone, rib, thorax, chest, sternum, dorsal spine, heart, pulmonary, vessels, aorta, ascendent, bronchus, trachea, left, right, atrium, ventricle, myxoma This file was created with democratiz3D. 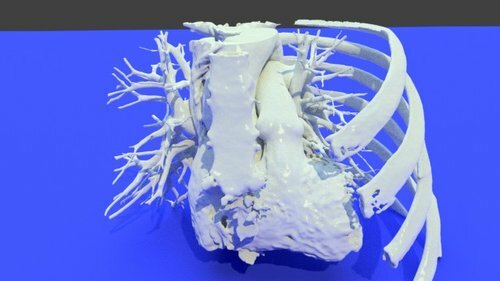 Automatically create 3D printable models from CT scans. Learn more. Mixoma02 - stl file processed Left atrium mixoma, CTA, scan, contrast, chest, lung, heart, great vessels, axial, ribs, dorsal, spine, bone, muscle, dicom, stl, printable, aorta, descending, ascending, 3d model, atrium, ventricle, mixoma, tumor, cardiovascular, muscles, intercostal, serratus, bronchus This file was created with democratiz3D. 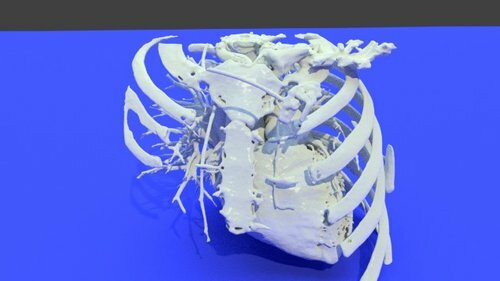 Automatically create 3D printable models from CT scans. Learn more. porcelain aorta - stl file processed This file was created with democratiz3D. 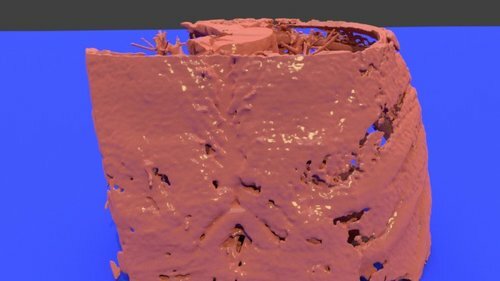 Automatically create 3D printable models from CT scans. Learn more. 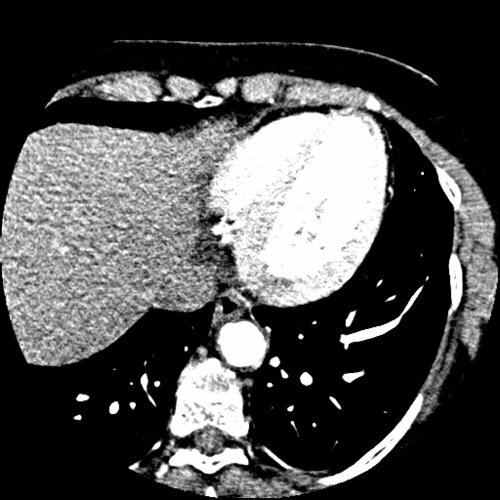 porcelain aorta, ct with contrast, scan, dicom, axial, thorax, heart, aorta, descending, ascending, porcelain, arch, bronchus, lung, pulmonary, trunk, arteries, great, vessels, calcification, ribs, chest Calcification of the thoracic aorta is often associated with valvular and coronary calcification, reflecting an underlying atherosclerotic process. It has been found to be associated with an increased rate of mortality and cardiovascular disease. Porcelain aorta (PA) is extensive calcification of the ascending aorta or aortic arch that can be completely or near completely circumferential. 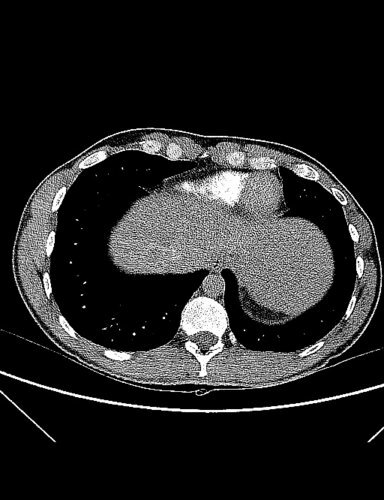 This entity is rare in the general population, but it has an increasing incidence in older patients and in patients with coronary artery disease (CAD) or aortic stenosis (AS). The clinical relevance is based on the fact that it can complicate surgical aortic valve replacement (SAVR) for the treatment of severe AS by preventing safe access via the ascending aorta. PA is associated with increased morbidity and mortality, especially as a result of increased perioperative stroke risk. Recently, transcatheter aortic valve replacement (TAVR) has emerged as a less invasive and feasible treatment option in patients at high risk for conventional SAVR. In some series, ≈20% (5%–33%) of patients undergoing TAVR were diagnosed with PA. Inconsistencies in the definition and the use of different diagnostic modalities contribute to this wide range of PA prevalence. 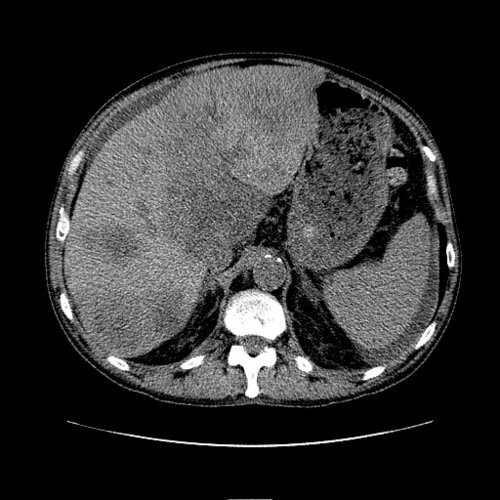 We reviewed the available published data to seek a consistent, clinically relevant definition based on contemporary imaging, a firm understanding of the pathogenesis and associations, and the clinical implications of this disease entity. Abramowitz, Y., Jilaihawi, H., Chakravarty, T., Mack, M. J., & Makkar, R. R. (2015). Porcelain aorta: a comprehensive review. Circulation, 131(9), 827-836.
porcelain aorta, ct with contrast, scan, dicom, axial, thorax, heart, aorta, descending, ascending, porcelain, arch, bronchus, lung, pulmonary, trunk, arteries, great, vessels, calcification, ribs, chest Calcification of the thoracic aorta is often associated with valvular and coronary calcification, reflecting an underlying atherosclerotic process. It has been found to be associated with an increased rate of mortality and cardiovascular disease. Porcelain aorta (PA) is extensive calcification of the ascending aorta or aortic arch that can be completely or near completely circumferential. This entity is rare in the general population, but it has an increasing incidence in older patients and in patients with coronary artery disease (CAD) or aortic stenosis (AS). The clinical relevance is based on the fact that it can complicate surgical aortic valve replacement (SAVR) for the treatment of severe AS by preventing safe access via the ascending aorta. PA is associated with increased morbidity and mortality, especially as a result of increased perioperative stroke risk. Recently, transcatheter aortic valve replacement (TAVR) has emerged as a less invasive and feasible treatment option in patients at high risk for conventional SAVR. In some series, ≈20% (5%–33%) of patients undergoing TAVR were diagnosed with PA. Inconsistencies in the definition and the use of different diagnostic modalities contribute to this wide range of PA prevalence. We reviewed the available published data to seek a consistent, clinically relevant definition based on contemporary imaging, a firm understanding of the pathogenesis and associations, and the clinical implications of this disease entity. Abramowitz, Y., Jilaihawi, H., Chakravarty, T., Mack, M. J., & Makkar, R. R. (2015). Porcelain aorta: a comprehensive review. Circulation, 131(9), 827-836.